Allan Gotthelf (1942-2013) was Anthem Foundation Distinguished Fellow at Rutgers University, USA, emeritus Professor of Philosophy at The College of New Jersey, Secretary of the Ayn Rand Society (a professional group affiliated with the American Philosophical Association), and the primary editor of its Philosophical Studies series. Between 2003 and 2012, he was visiting professor of History and Philosophy of Science at the University of Pittsburgh. His influential papers on Aristotle are collected in Teleology, First Principles, and Scientific Method in Aristotle’s Biology (2012). Gregory Salmieri teaches at Rutgers University, is a philosophy fellow at the Anthem Foundation, and has held teaching and research positions at The University of North Carolina, Chapel Hill (2008-12) and Boston University (2012-14). 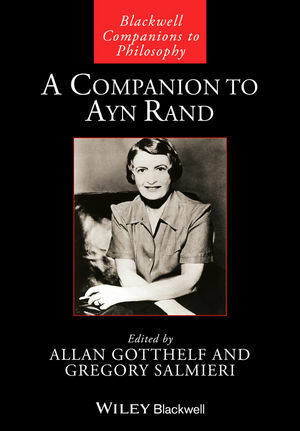 He is co-secretary of the Ayn Rand Society and co-editor of its Philosophical Studies series. In addition to his work on Rand, he has published on various issues in Aristotle’s philosophy and is editor of the forthcoming Knowing and Coming to Know: Essays on Aristotle’s Epistemology.